This is a community page for fans of the Russian Elbrus 2000 computer architecture, the community has no relation to any of the companies providing these products for the commercial market. The Elbrus computer architecture has a heritage from the military super computers of the Soviet Union, but development has continued ever since. If you find any of the information on this site strange or offending, do not hesitate to contact the user elbrus2. The site is also a work in progress, so don't expect everything to be complete at this moment. If you like it, please enjoy the information that we collect here. You are also welcome to become a co-editor of this site by contacting me. The Monoblock KM-4 desktop computer is based on the Elbrus 2000 computer architecture. 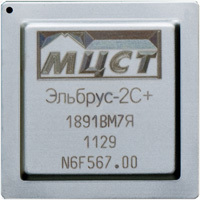 The brain is an Elbrus-2C+ dual core 512-bit VLIW microprocessor, capable of executing up to 23 instructions in parallel. In addition the CPU has 4 digital signal processor cores, ideal for image processing, video editing and sound effects. Usually these capabilities needs to be added to ordinary desktop computers by buying expensive DSP extension cards. 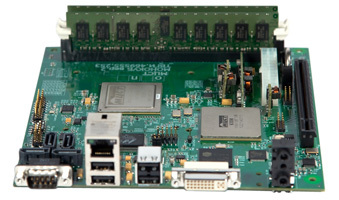 Because of the VLIW architecture, the computer does not need to run at a high clock speed (only 500 MHz), compared to other super-scalar microprocessors that runs at 1-2 GHz. This leads to a more silent computer which consumes less power, but with comparable performance. In order to take full advantage of the Elbrus 2000 architecture, the Elbrus operating system shall be used, which is based on the Linux 2.6.33 kernel with improved security. However the Elbrus 2000 architecture is also capable of running Intel x86 software such as Microsoft Windows with less performance.